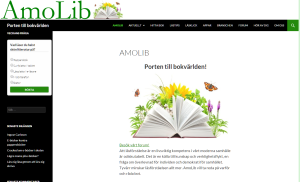 An information site, blog and forum in Swedish for book readers, run on voluntary basis. Anders installed and configured, and he, Eva Marnfeldt and Anders Borgström provided content. Initial work during Q1 2014.